You inspired me to get sisterlocks! Your locs are just gorgeous and I follow your blog faithfully. Also follow you on Instagram. I wanted your assistance with postpartum shedding. I have had my locs for a little over a year and they are growing nicely. However, I had a baby 5 months ago and I have been shedding like crazy! Any advice? Are you still retightening your own hair? If yes, what tool are you using? Thanks in advance! Firstly, thanks for following! 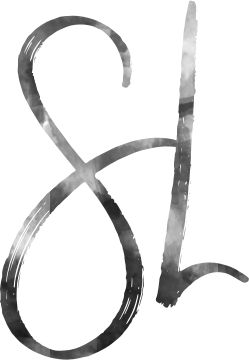 How serendipitous, I have an unfinished post about preventing loc loss with a little blurb related to this. I’ll eventually finish and post, but I am happy to speak to your situation right now. 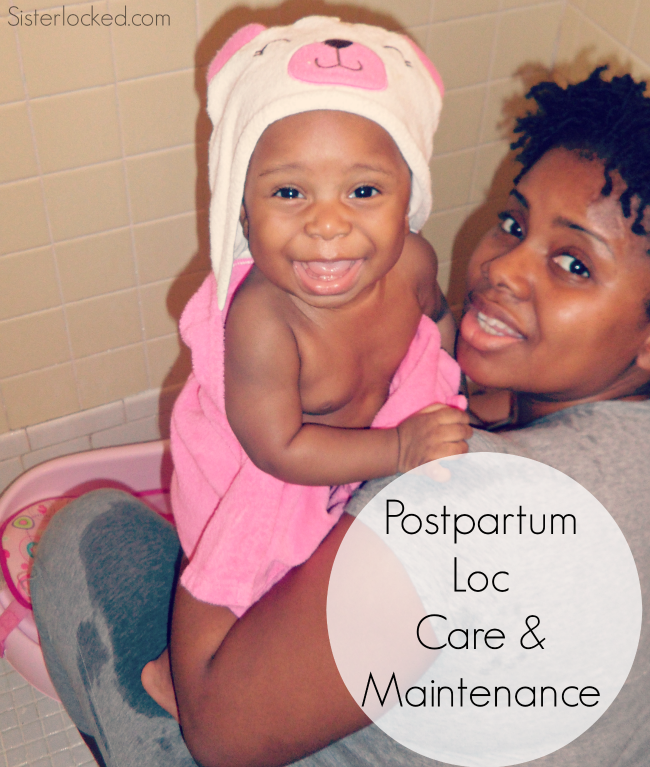 Postpartum shedding, for me, was so terrible, especially since I went thorough it twice. 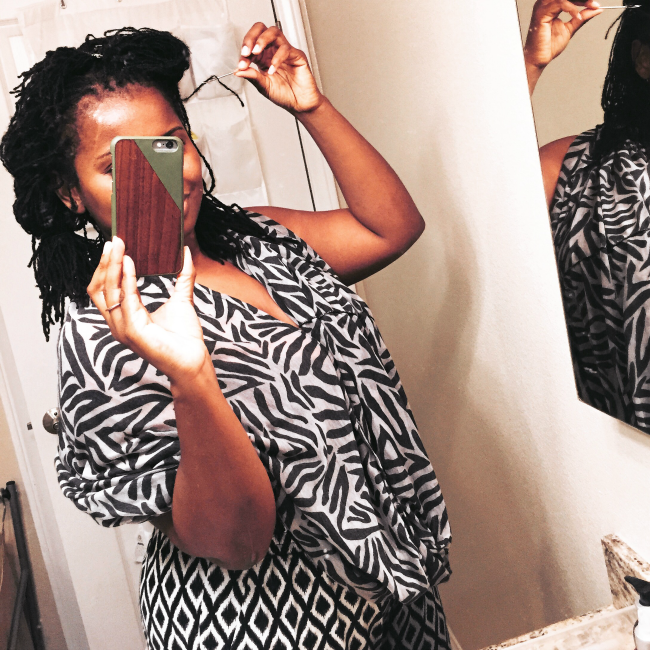 I had my sisterlocks installed during maternity leave with my first and then had my second 18 months later. Hormonal hair loss is a little different because it isn't caused by environmental or behavioral factors. I hate to say it but, there is little that you can do to prevent it from happening, but you can make sure your behavior does not make it worse! If you can’t make it to a retightening appointment and you are comfortable with trying it, find those thin locs and maintenance yourself. If you haven taken an “official” training, no worries, interlocking is really easy to learn from youtube and other posts (see my blog for deets)! Isolate and practice on a few healthy locs. The point is to pick up those smaller stray hairs and work them back into the thinning loc. You will lose some locs and that is okay, don’t stress out about it! The area will without a doubt grow back in time and you can have a new loc started! You can see in many of my selfies that I have shorter locs around my edges that came back! Keep your locs that snap! When you have enough of that area that has grown back a skilled loctician can reattach to the new loc! Eat a well balance diet; there are foods rich with nutrients that help with hair growth and strength (Google them). I don’t recommend vitamins because there is a debate over content and effectiveness of vitamin consumption. Massages your scalp (some swear by this), it may work to keep the blood flow strong. Consider adding a few drops of rosemary and other hair growth essential oils to your shampoo. I do still re-tighten my own hair, finding a reasonable consultant in Cali has been difficult. I use a yarn needle; I lost my nappyloc tool (which was preferable). Please do follow up and let me know what works best for you! I hope this email helps someone else, you can always email your questions or post them to Sisterlocked on Facebook.